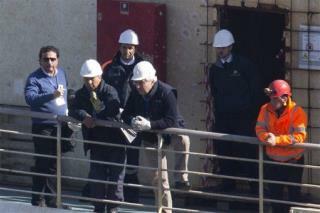 (Newser) – Two years after the disaster that killed 32 people, captain Francesco Schettino today returned to the Costa Concordia wreckage in the course of his manslaughter trial. Schettino went aboard in order to help court-appointed experts inspect generators, which the captain claims were partly to blame for the incident, the AP reports. Judge Giovanni Puliatti was careful to qualify that Schettino was on board the ship "as a defendant, not a consultant," reports the BBC. Let the Captain see what it's like to drown too! He wants to show he's 'not a coward'? That ship sailed a long time ago, so to speak, seeing as how he was one of the first ones to jump in the lifeboat and head for shore. POS.